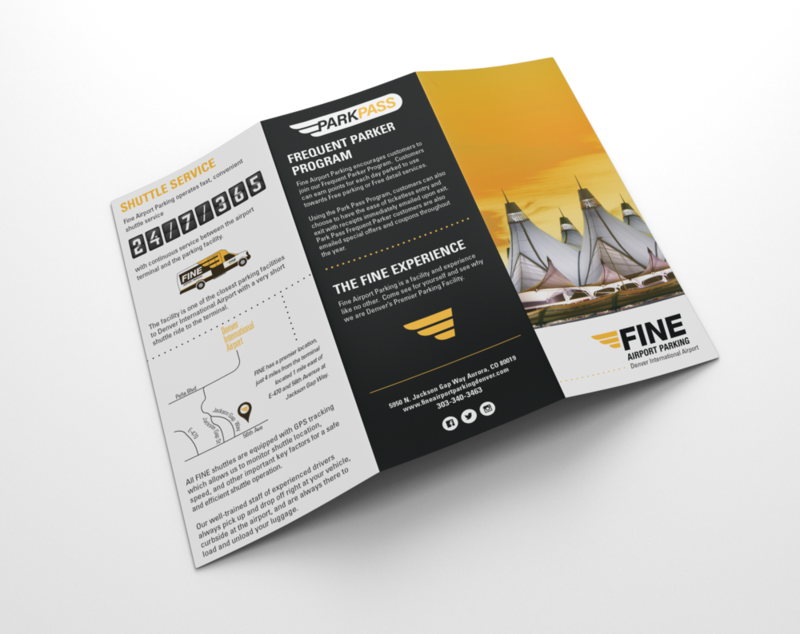 Fine Airport Parking is a parking facility based in Tulsa, OK that recently opened a new facility in Denver, CO. When they came on as a client, they had a logo and a brand standards guide which I used to inform my design decisions. 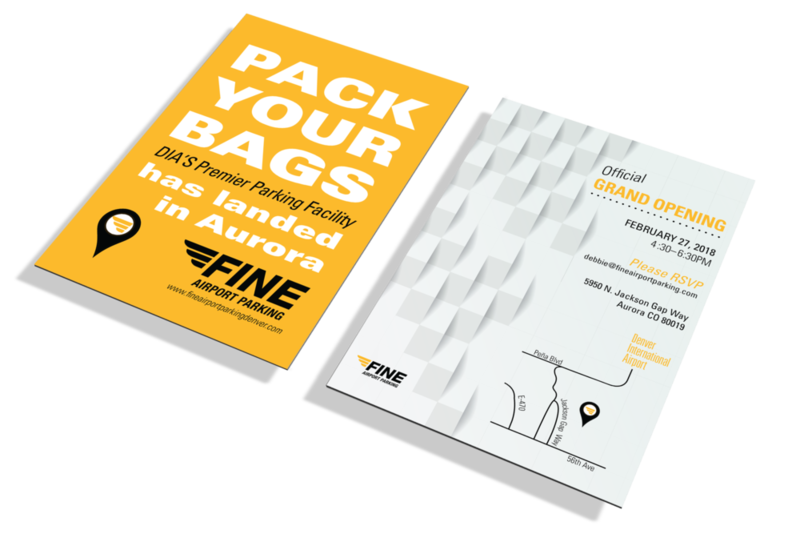 They needed various printed materials for their upcoming facility in Denver including a tri-fold brochure that gave basic information about the new facility. I created a custom map and icons to break up the text content provided by the client. The client needed a printed flyer to announce their grand opening of their Denver facility. I implemented big bold typography, attention-getting content and use of their brand color to create something eye catching. 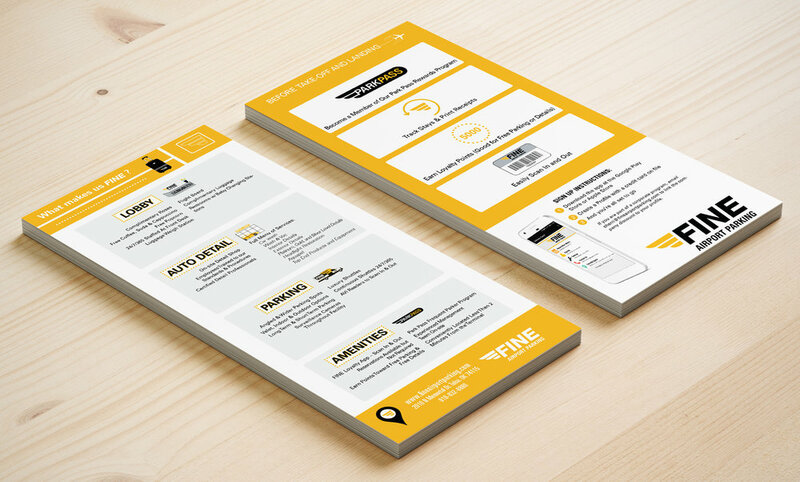 The client needs various printed materials including coupon cards, a locator card, a free stay card and a share your experience card for promotional use. I created the card sizes so they could all easily fit in a wallet or pocket, as some materials like the locator card were important for finding one’s vehicle later in the process of parking. 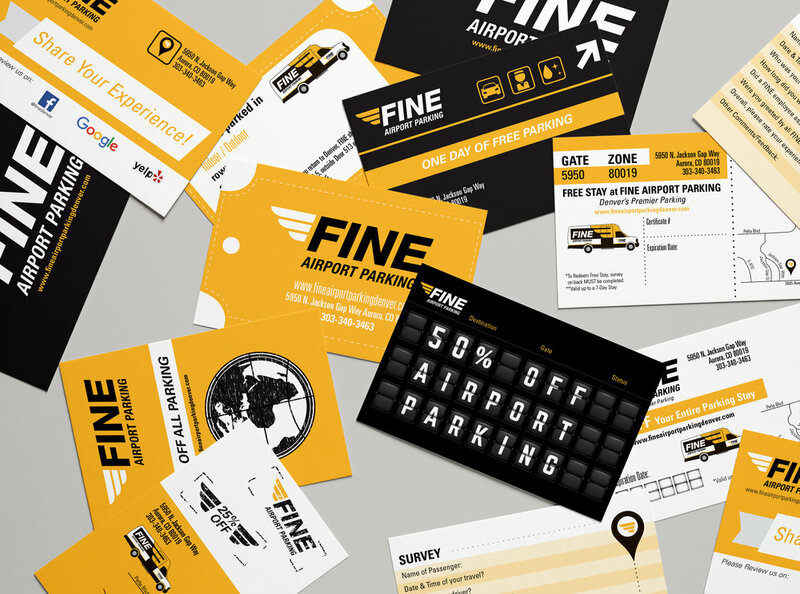 When creating materials for this client I wanted to play with some of the obvious airport signage and items we see everyday in airports such as, airline tickets, departure signs, luggage tags, terminal signage and passports, while remaining within Fine Airport Parking's brand standards. 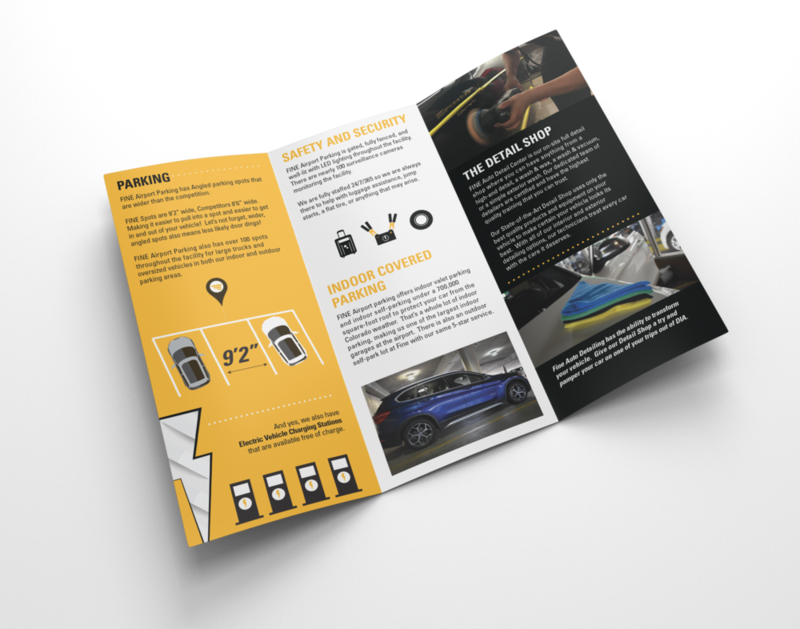 The client wanted a rack card flyer to showcase why their facility was better than other airport parking companies. I customized icons to help differentiate and communicate the main header points while minimize the amount of text on the flyer and organizing the content into easy to read blocks.